Archbishop Mikhail (Mud'yugin) was born in St Petersburg on May 12, 1912 . He received a multifaceted education, completing the Institute of Foreign Languages, Institute of Metallurgical Industry, and in 1964, the St Petersburg Theological Academy. The future Archbishop began working as a laborer at the "Red Leader" factory. He later worked in manufacture and design, took part in scientific experiments, defended his dissertation, was a docent at the Leningrad Institute of Mines. Having been close to the Faith from childhood, Mikhail Nikolaevich was ordained in 1958. He served in the Vologoda diocese and began teaching at the St. Petersburg Theological Academy in 1965. He soon became its rector. He was elevated to the hierarchy in 1966 and served as Vicar of the Leningrad Metropolia, Bishop of Astrakhan and then became Archbishop of Vologoda. He retired in 1993. His love for Christ motivated him to preach the Good News without ceasing. As a theologian, he is the author of numerous works published both in theological and secular editions. 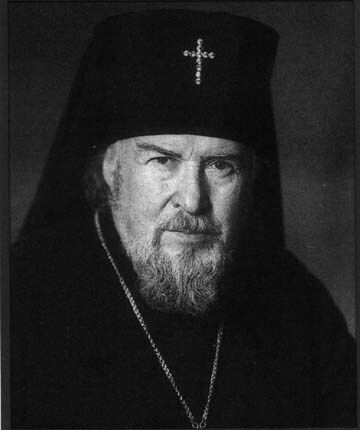 Archbishop Mikhail died on February 28, 2000.